In the DC books spring launch, Robert Edison Sandiford and Tom Abray joined us for a reading from their respective works. The launch also includes titles from Larissa Andrusyshyn, Jason Camlot, and Greg Santos, ranging from poetry to novellas, to collections of short stories. The beautiful and colourful covers entice the eye, combining photos, illustration, and often times a mixture of the two into collage. Robert Sandiford is a Montreal born author, with Bajan heritige, which informs much of his work in short stories, essays, and novels. At the event, he read from his latest collection of short stories entitled Fairfield, The Last Sad Stories of G.Brandon Sisnett. The stories provide an insightful depiction of the human endeavor to live with memories of love and loss. The protagonist, Mr. Sisnett, passes away, leaving behind two unfinished works that reveal an entanglement of seemingly arbitrary connections between the stories and his life. 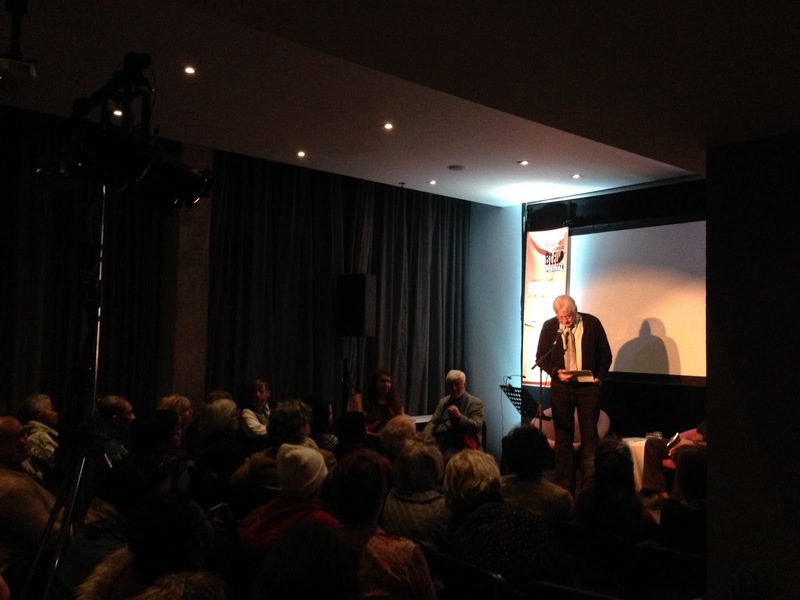 Tom Abray followed Sandiford with a reading from his forthcoming novella, entitled Where I Wanted To Be. His previous collection of short stories, entitled Pollen, thematically follow in Sandifords footsteps. He portrays suffering and confusion through day to day objects, and the human interaction with them. The main characters confront their changing relationship with their natural environment, and the reader comes to understand its interconnected relationship to their psychological development. Abray grew up in Strathroy Ontario, and now lives in Montreal, teaching English at John Abbott College. DC books spring collection is a formidable series, packaged so as to make them irresistible. The event confirmed just that.